One of the top favorite foods of young and old alike, ice cream is a close relative to frozen yogurt, sherbet, gelato and sorbet. 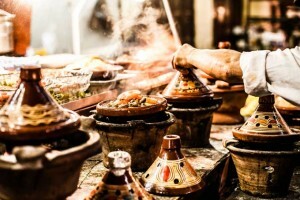 And all are enjoyed in a wide variety of flavors all over the world. Suitable year-round, they’re particularly appreciated during the hot months of summer, for their cool and tasty refreshment. And what better way to enjoy these chilly treats than to make up a batch of your own favorite flavors? Commercially bought products often contain ingredients that are not the best choices for achieving our health goals, and lite or sugar-free frozen treats often have unhealthy substitutes added to make up for flavor loss. But, with your own ice cream rig, you control the ingredients you’ll be consuming. 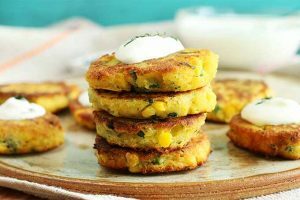 And many recipes are easily tailored to meet specific dietary requirements by using alternative, healthier choices such as: almond, soy, or coconut milk; stevia, honey, and agave for sweeteners; and fresh, locally grown berries and other fruit. 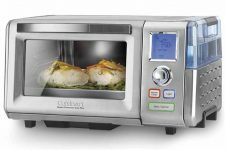 Cuisinart has a well-established reputation as one of the world’s premier kitchen appliance manufacturers. 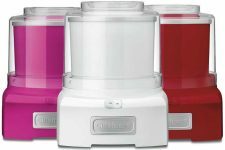 And in this post, we’re going to review one of their most well-known frozen dessert makers, the ICE-30BC Pure Indulgence 2-Quart Frozen Yogurt-Sorbet & Ice Cream Maker, in white. 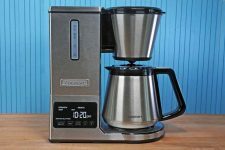 Available on both Cuisinart.com and Amazon.com, it’s positioned at a good price for the value. So, let’s have a closer look. We’ll see whether this model is going to help you enjoy cool and creamy, made-to-order frozen treats in your home this summer. 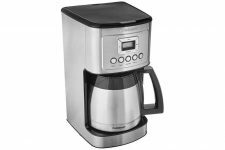 With a brushed stainless steel housing unit and transparent lid, this model is handsome in appearance with a space saving design. The base has a small niche at the back to neatly store the cord when not in use, and with its compact construction and sleek lines, it’s right at home on the counter top. The two components that come in contact with food are the mixer arm, or dasher, and the freezer bowl. 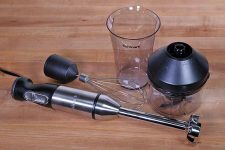 The mixer arm is made of a rigid, BPA-free plastic and the bowl is aluminum coated with a nonstick surface. 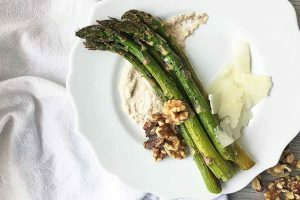 The simple one-switch system couldn’t be easier to operate – place the frozen bowl on the base, attach the dasher, pour in the chilled ingredients, and put the lid on. Then sit back for 25 minutes while your own artisan ice cream comes to life. The result is smooth, luxurious frozen delight. 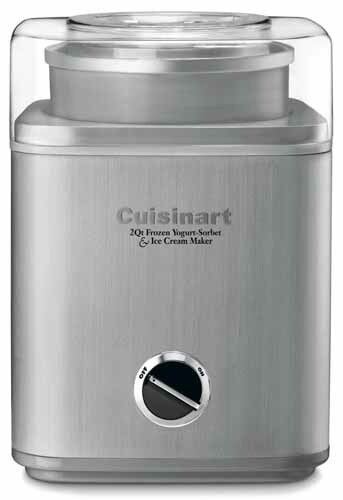 The Cuisinart ICE-30BC is another model in the line of freezer bowl style ice creamers. There’s no ice or salt used in production, but the freezer bowl component must be frozen solid before using. 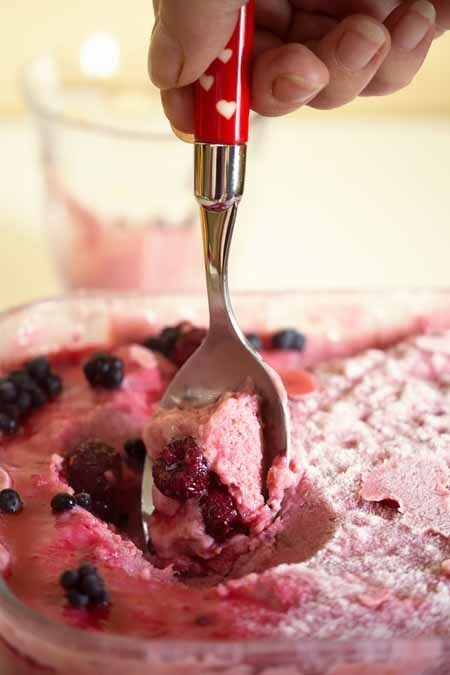 When making ice cream, the ingredients are added to the frozen bowl, which rotates as a stationary paddle churns the mixture. 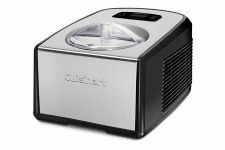 You can effortlessly switch between several types of frozen dessert with this equipment, including ice cream, frozen yogurt, gelato, granita, sherbet, sorbet, and frozen drinks. And the enclosed recipe book has listings for most. 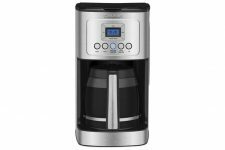 This model has a large spout in the center of the lid, allowing for easy addition of the cream mixture and any other goodies without interrupting the freezing process, or having to remove the lid. This way, the mixture retains a consistent temperature while it’s churning. The easy-lock lid is transparent, for viewing the mixture as it progress. It slips on easily, and locks securely into place with a firm twist. A sturdy mixing arm made of BPA-free plastic mixes and aerates ingredients in the freezer bowl, producing smooth and rich ice cream. Its dasher rotates at a low speed of 21 RPMs, mixing in just the right amount of air for thick, opulent texture and no overruns. The freezer bowl contains a cooling liquid between the double insulated walls, to ensure quick and easy freezing. It measures 8” high by 6.5” wide and is made of aluminum coated with Xylan, a polypropylene nonstick surface. 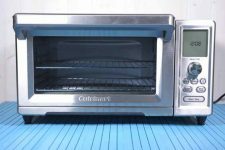 It must be frozen thoroughly before using, usually 6-22 hours according to Cuisinart. Please note that the walls of the freezer bowl are sealed to keep the coolant intact and should never be washed in a dishwasher – hand washing only for this piece. 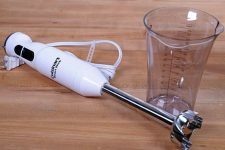 The heavy-duty motor is powered by 50 watts of energy, and is strong enough to handle mixing full batches of frozen desserts without any loss of power. Non-slip rubber feet keep the base stationary while in use, and prevent traveling from motor vibration. Another convenient feature is the cord storage space built into the base – you can coil up the cord for storage and keep your countertops tidy and safe. The ICE-30BC features an automatic turn off safety feature, and it will shut down if the motor overheats. 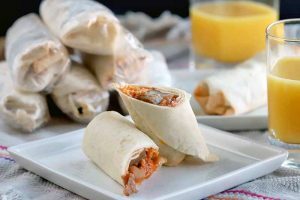 A comprehensive manual and recipe book is also included, and it offers a lot of options to get you started on your first forays into frozen treats. It’s easy to clean, with only four pieces in total. All parts are simple to remove and wash. While the mixer arm and lid are dishwasher safe on the top shelf, the freezer bowl should always be hand washed. 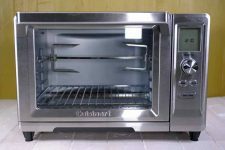 It’s also backed by the Cuisinart 3-year limited warranty. This model measures 16 x 11 x 11” and weighs in at 12 pounds. The freezer bowl is cylindrical with a diameter of 8” and a height of 6.5”, and it accounts for 4 of the 12 pounds of total weight. And with a full 2-quart capacity, it can easily dish up eight servings of icy delight at a time. Cleaning is simple and straightforward, as all parts are easily removed. The electrical base can be wiped clean with a damp cloth, while the lid, freezer bowl, and mixing arm are simple to lift out. These should be hand washed in warm, soapy water. To clean the bowl, allow it to come to room temperature first. Then run under warm water to remove any excess mix that’s frozen to the bowl before washing in warm, soapy water. For optimal performance, ensure that the bowl is completely dry before setting it back in the freezer. The following points summarize the highlights and common problems encountered with the ICE-30, as submitted by verified shoppers at Amazon where it remains one of the top sellers. By far, the majority of reviewers report high satisfaction, with the most common comments praising the high quality of the ice cream produced, and the amount – up to 2 full quarts of frozen goodness with a smooth, rich texture. 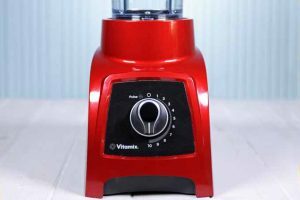 Also of note is its ease of use – simple operation and automatic mixing, adding ingredients while mixing is simple, and so is cleanup. 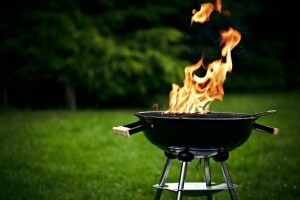 Another popular feature pertains to the power and performance. 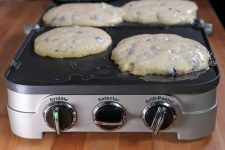 The motor is steady and strong with minimal incidents of overheating, and the paddle strength handles the thickening mass effortlessly. Also appreciated is its compact footprint, with a sleek profile for countertop storage. Another area of satisfaction is value for the money, with a lot of purchasers commenting on being very pleased with the work and performance of this unit for the price. 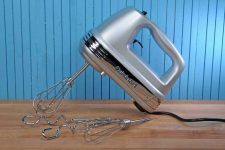 The most common complaints noted regard the mixer arm – it doesn’t actually touch the edges of the bowl, but leaves frozen mix on the sides, which inhibits the mixture from freezing. So scraping while processing is needed. A few others wrote with concerns about the longevity of the motor. 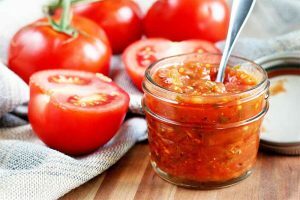 Of the critical reviews, there are some comments that after a year or so, it takes longer and longer to process a batch as the unit runs hotter and hotter. First, freezer temperature is critical and the manual emphasizes that it must be set to zero to adequately freeze the bowl. Next, the mix ingredients also need to be adequately chilled in order to set properly. And finally, sometimes a unit is just a dud, and it needs to be returned. 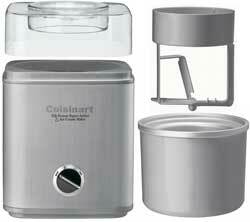 Cuisinart has a good warranty and reputable customer service, so returns and ordering parts aren’t a problem. Just ensure that you buy from an established dealer with a no hassle return policy, like Amazon. Also worth noting: the number of people who are surprised that when the machine is finished, the texture is that of soft serve. 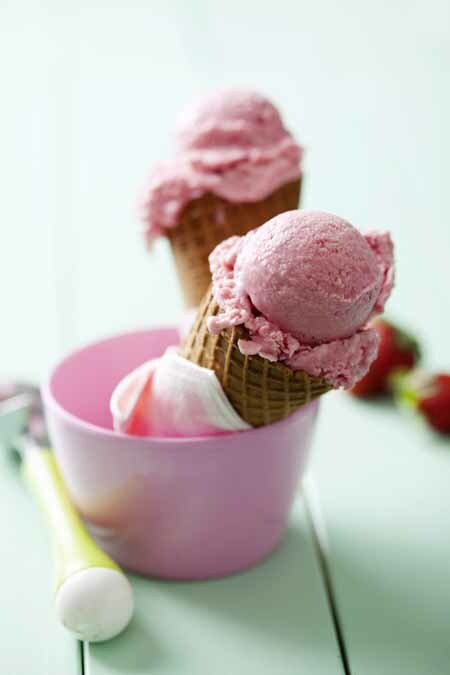 This is true of most at-home ice cream makers – if you prefer a harder texture, simply scrape the mix into another bowl and freeze for a couple of hours. Use a rubber spatula to scrape the edges of the bowl while mixing to ensure all ingredients are integrated, and for faster processing. Don’t use a metal utensil, as it may scrape the bowl. Pre-chill your mixture to ensure proper setting. 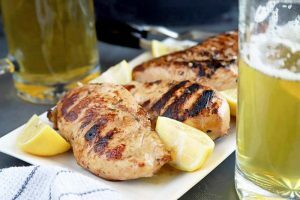 A few hours in the fridge is usually adequate, or 30 minutes in the freezer. The freezer bowl must be completely frozen – there should be no sloshing of liquid when you shake the bowl. Refer to the manual. 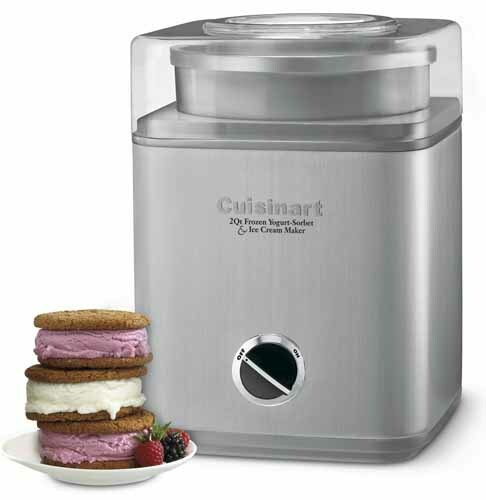 Common problems are easily addressed simply by following instructions, and Cuisinart produces a comprehensive and well-written guide to get the most out of their ice cream maker. Use a timer to check progress. While mixing is automatic, it doesn’t shut off automatically when the desired consistency is reached, so set a timer to prevent any overrun. Invest in a good recipe book. The manual does provide many tasty recipes for starting out, but a good recipe book can take your creations to the next level of gourmet ice cream. 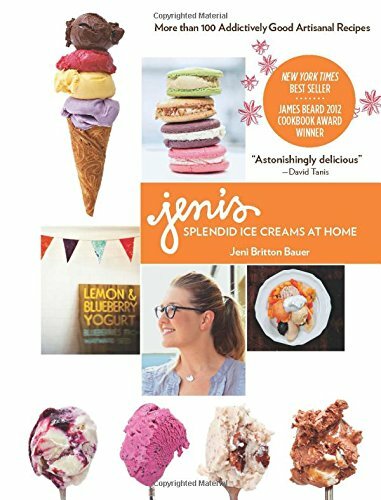 Try Jeni’s Splendid Ice Creams at Home for some delicious recipes and tips on producing outstanding homemade ice cream. All in all, the ICE-30 offers reliable performance and good value, producing a high quality product at a very affordable price. 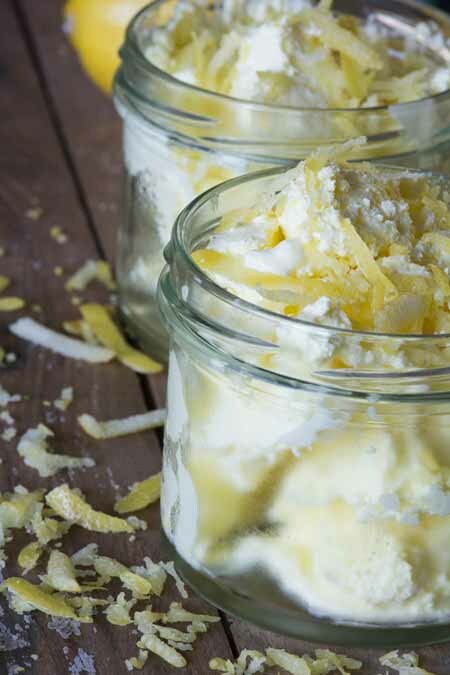 And with its 2-quart capacity, it’s ideal for families looking for a little refreshing homemade goodness this summer. Considerably below the price of units with a built in compressor, and free of the hassle and cleanup of ice and rock salt models, this unit consistently receives high praise for the steady – and tasty – results it produces. Many satisfied customers have no hesitation in recommending the ICE-30 to friends and family, with a hefty majority giving it a clear thumbs up. 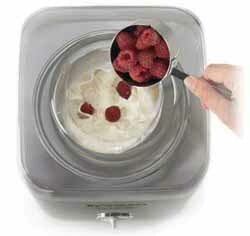 Want to see some other ice cream maker options? Check out Foodal’s guide, where we look at all of the top rated models.